2018 Year of the Dog... What Will It Bring?! 2018 The Year of the Dog... the Earth Dog! 2018 is the Year of the Dog, the Year of the Earth Dog to be more precise. So what does it mean? Each of the twelve animals in the Chinese Zodiac has unique characteristics and each year corresponds to one animal. 2018 corresponds to the Dog. In 2018, the corresponding element is Earth. Earth is also associated with the color yellow. 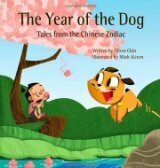 The Year of the Earth Dog is therefore also known as the Year of the Yellow Dog. You will also see it referred to as The Year of the Brown Earth Dog, as many people associate brown with the color of soil and earth. So what happens when you mix the Dog with the Earth Element? The Dog is sincere, independent, and clever. Like man's best friend, they are extremely loyal and devoted and you can always count on them to stick by your side. The Earth element, by its very nature, denotes origins and growth and is associated with practicality, harmony and hard work. The Earth seeks to nurture and be nurtured, it anchors you and provides stability. A loyal and hard working Dog combined with the steady and sensible characteristics of Earth, heralds a secure, rewarding and profitable year. A year of blossoming, to achieve things, and to thrive. An Earth Dog combines the integrity and diligence of the dog with a very "down-to-earth" climate, perfect for longstanding projects requiring persistence and grit. Real estate is high in the agenda in the year of the Yellow Dog, whether you are contemplating any investments or purchasing a home, everything should align well for you this year. What to watch out for? Like man's best friend and always ready to obey its master, the Dog is quick to offer a helping hand. Stay vigilant for people or circumstances vying to take advantage of this trait, try to stay focused on YOUR own needs and wants as well and keep a good balance! 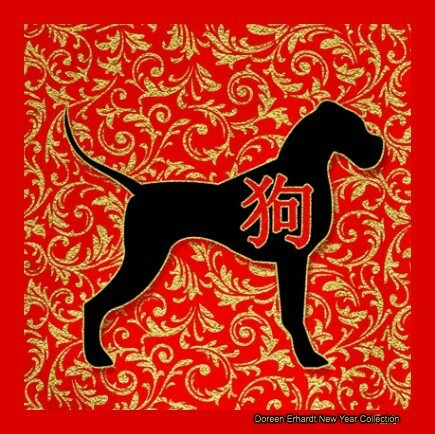 The Year of the Dog follows an energetic and chaotic Year of the Rooster... An Earth Dog Year will welcome some much needed sense of harmony, peace and goodwill, a year of unity and understanding that will reward all of us for our hard work and diligence! If your baby is born in the Year of the Dog, he or she will assume the characteristics of the Dog: Dogs are trustworthy and devoted to their causes. Earth Dogs are, well yes... down-to-earth... They love to help others, are extremely friendly and approachable, they make friends easy. Their loyalty, enthusiasm and dedication are their main traits, you'll have your biggest fan on your Earth Dog baby! To be born in the Year of the Dog, babies will have to be born from February 16, 2018 to February 4, 2019, the last day of the Dog lunar year. If the baby is born on or before February 15, 2018, he or she will be a Rooster Baby, if born on or after February 5, 2019, the baby will be a Pig Baby. The next Year of the Earth Dog will be in another 60 years. 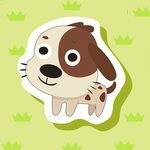 Year of the Dog Celebrations Around The World!!! More on the Year of the Dog!! !